…With the sound of music, the caress of mist and the wonder of magic! All in the north east. A lifetime of living here will yet be less to experience the enchantments of this place. So how do we tell in brief about this amazing, multi faceted land of ours to those who come to visit us? Through Mist & Magic, India’s North East of course! Conceived and Produced by Fr. V.M. Thomas SDB, Rector, Don Bosco Institute of Management, the lyrics of Mist & Magic, in English, are by Tarali Sharma and are based on a poem on North East India by Archbishop Thomas Menamparampil SDB. Ansur Sha’s brilliant camera work alongwith captivating photography by Samsul Huda Patgiri is bound to captivate the heart of the visitor to this otherwise lesser known part of our country. And this photography is beautifully complemented by the mellifluous voices of singer Simanta Sekhar and national award winner singer Tarali Sharma. Mist & Magic, the musical expose, touches every aspect of life and tradition in the north east despite being put into a capsule of just 8 minutes. That’s what makes the video CD all the more exclusive, to hold out and present before people outside this paradise-like land, to give them an impression of this land. It touches the north east’s ethnic as well as pop music, ancient as well modern lifestyles, the blending of thoughts and cultures despite keeping their individual identities and the harmonious practice of diverse religions. Its about the north east India, its many hues, but one soul…! The musical venture is complemented by an equally tasteful coffee table book that embraces the whole of the north east of India. 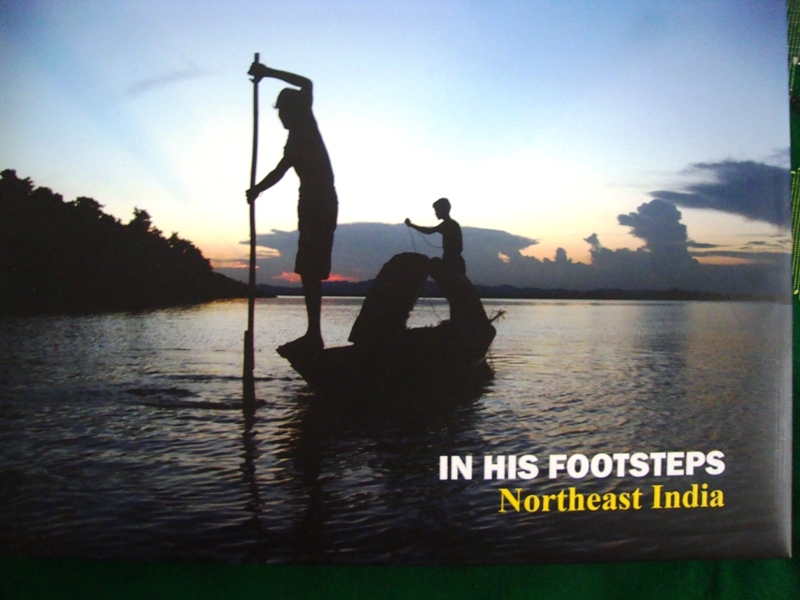 Published by Don Bosco Institute, Kharghuli and titled In His Footsteps, North East India, the book comes with breath-taking photographs by Samsul Huda Patgiri and is magnificently designed by Birkhang Narzary. Photographs and short write-ups by renowned personalities from all over the north east take the reader in a trance like journey through the entire length and breath of the mesmerizing north east! Brought out by the untiring efforts of an editorial team headed by Fr. V.M. Thomas, SDB, this coffee table book is a must for every living room wherein lives a heart that loves and cherishes India and her north east!